Reading and Writing Redhead: I Have a Freebie for You! It is Monday!! 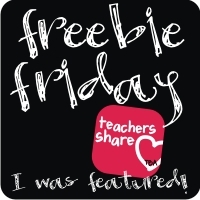 I have linked up with Freebie Friday at Teaching Blog Addict and Manic Monday at Classroom Freebies and am sharing a freebie with you from my TPT store. I am linking my Superstar Antonyms game, in the I Have Who Has style! We have practiced a lot of antonyms, but this set is with 12 cards and therefore great in a small group if you just need a few students to practice. Get it by clicking the link below. Then hop over to Classroom Freebies to see all the other awesome freebies this week! I found you from Classroom Freebies. Fun freebie! Thanks! Thanks for coming by Bethany! Thanks for the freebie! We can always use more work on antonyms! Youre welcome Amy ! Glad you can use it! Thanks so much for the freebie. We have been working on synonyms and antonyms like crazy but the kids still need more practice! Awesome, Kady ! Glad to hear that !